Send the striking blooms of our Seasonal Flower Arrangement coupled with Lip-smacking Black Forest Cake and make their event spectacular. 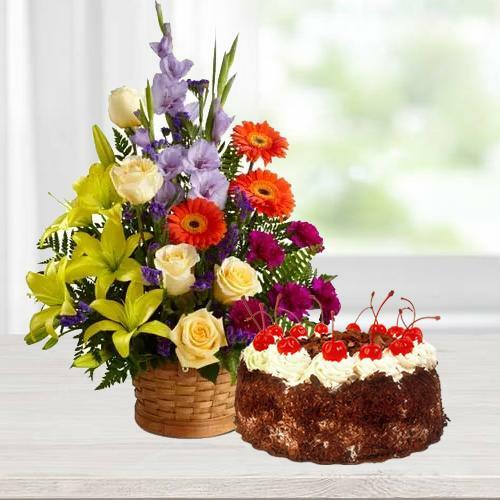 The Stunning Gift of Seasonal Flowers comprises of Splendid Roses, Gerberas, Lilies, Carnations, etc. This 1 Lb Cake is hand delivered to ensure freshness.